He joined SK Telecom at 1997, and worked for the IRIDIUM project and 3GPP standardization. From 2004, he has not only contributed commercialization of WCDMA and HSDPA/HSUPA, but also took a responsibility for the R&D strategy of SK Telecom. Since 2009, he has successfully led the Korea-first LTE launch, the world-first multi-carrier deployment, the world-first nation-wide HD Voice (VoLTE) commercialization, the world-first LTE-A (Carrier Aggregation) commercialization, and directing LTE evolution and beyond LTE-A of SK Telecom as head of Access Network Lab. 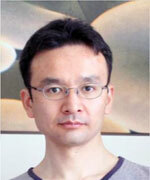 He became head of Network Technology R&D Center as Senior Vice President in 2013. His current interest mainly focuses on developing new growth ICT like big data, security, autonomous driving as well as next generation communication technology like LTE-A, 5G, SON/SDN/NFV. He received a Bachelor degree in the department of Mathematics and a Master degree in the Information & Communication Engineering at Korea University. 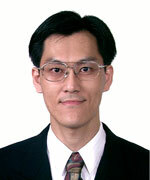 Jyh-Cheng Chen has been a Faculty Member with National Chiao Tung University (NCTU), Hsinchu, Taiwan since 2010. Prior to that, he was with Bellcore/Telcordia Technologies in New Jersey, USA, and National Tsing Hua University (NTHU), Hsinchu, Taiwan. He is also now serving as the Convener, Computer Science Program, Ministry of Science and Technology, Taiwan. Dr. Chen received numerous awards, including the Outstanding Teaching Awards from both NCTU and NTHU, the Outstanding Research Award from the Ministry of Science and Technology, the Outstanding I. T. Elite Award, Taiwan, the K. T. Li Breakthrough Award from the Institute of Information and Computing Machinery, and the Telcordia CEO Award. He is a Fellow of the IEEE and a Distinguished Member of the ACM. He was a member of the Fellows Evaluation Committee, IEEE Computer Society. Tsunemasa Hayashi was born in 1968. He received the M.E. degree from the Tokyo Institute of Technologies in 1994. He completed the Slone Program of Executive-Management of Technologies with the Massachusetts Institute of Technologies in 2006. He was with NTT Laboratories from 1994 to 2006. He has been the CEO/President of BOSCO Technologies Inc., since 2012. His technology interest areas are network operation/management, network virtualization, and high-speed parallel operation. He has engaged in many SDN/NFV projects for network careers. He was a recipient of the Best Paper Award from APDAC’97. 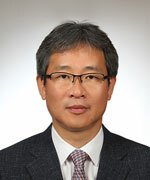 Dr. Hyun Kyu Chung is a vice president of ETRI(Electronics and Telecommunications Research Institute) and head of 5G Giga-Service Research Laboratory. He is responsible for mobile communication R&D and CPND(Contents, Platform, Network and Device) technologies for the Giga-Korea Project in ETRI. He received B.S. degree from Seoul National University in 1985 and his master degree on electrical engineering from KAIST in 1988. 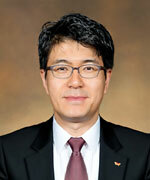 He joined to KT(Korea Telecom) in 1988 as a researcher. After moving his career to SK Telecom in 1993, he had served as a researcher for deploying world-first CDMA commercial networks in Korea, the head of SK Telecom U.S. R&D Center at Fairfield, New Jersey. In U.S. he pursued Ph.D. degree in electrical engineering in Polytechnic institute of NYU, Brooklyn, New York, where he majored wave propagation for mobile communications. After his doctoral degree in 2000, he joined to Lucent Technologies in New Jersey as a member of technical staff and then joined ETRI in 2001. Sławomir Kukliński received Ph.D. with honors from Warsaw University of Technology (94’) and since then he is Assistant Professor there. He is teaching about mobile and wireless systems. From 2003 he is also working for Orange Polska as research expert focused on mobile and wireless systems with emphasis to self-managed solutions. At present he is interested in application of cognitive techniques to control, management and orchestration of SDN and 5G networks. He led many national research projects as principal investigator and was involved in many international projects, including FP6 MIDAS, FP7 EFIPSANS, FP7 4WARD, FP7 ProSense, Celtic COMMUNE, he coordinated Polish-Luxembourgish project on Cognitive SDN (CoSDN). At present he is involved EU-Japan project 5G!Pagoda. He was working on SDN standardization in ITU-T (Study Group 13) and now is involved in IETF activities on network slicing. 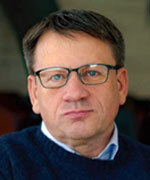 Slawomir Kukliński has published more than 50 conference and journal papers, served as a member of TPC of many conferences and gave several invited keynotes.